Disney's Finding Nemo is an all-time classic from 2003. You might remember this animated treasure for a number of reasons, from Dory’s silliness to the seagulls yelling “MINE,” but there are other things you might not recall. Within this super-successful film are some things you may not be privy to. 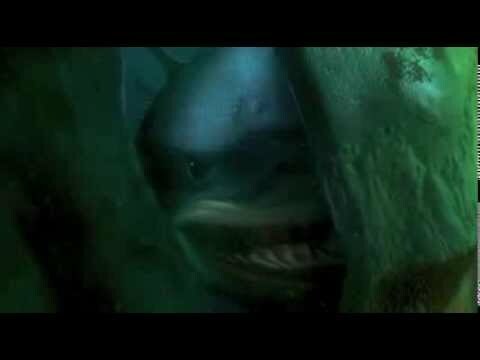 It’s known that there are dirty jokes in Pixar movies from time to time, so let’s search for the adult humor in Finding Nemo like they’re the abducted fish himself. It's not necessarily that there are a lot of dirty jokes in Pixar movies. It's just that Pixar is really good at creating animated films that both adults and children can enjoy, and that means throwing in some jokes that only adults will appreciate. This list takes you through all the adult jokes in Finding Nemo. Vote up the most surprising ones you never noticed before. In one scene, when the fish tank is being scanned by the AquaScum 2003, Gurgle quickly covers his crotch area. There’s a volcano inside of the fish tank that’s named Mount Wannahockaloogie. Split that name up and you get "wanna hock a loogie," which is a nice way of "spit." Gill and company are concocting a plan to get Nemo out of the tank by tampering with the filter to make the tank filthy. Gurgle says of this dirty fish tank, “Don’t you people realize we’re swimming in our own-” but he’s cut off by Peach, who says, “Shh, here he comes!” The "shh" sounds a whole lot like the first part of an expletive that Gurgle was probably about to say.